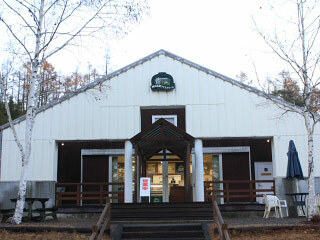 Kaida Highland Ice Cream Factory (開田高原アイスクリーム工房) is a dairy products factory and one of the main feature of Kaida Highland, Kiso, Nagano prefecture. It has a great dairy products made from local foods. Ice Cream, Cheese, Batter and Yogurt are all made from fresh foods of Kaida Highland. The special feature of this factory seasonable soft-cream and corn soft-cream. It has also yogurt made from Sunki's lactobacillus. 1. use local bus to Kisoumanosato. Kaida Highland Ice Cream Factory produce Ice Cream from Local fresh foods. This factory sales dairy products such as Ice Cream, Cheese, Batter and Yogurt. All favors are used from local fruits and vegetables of Kaida Highland. … won the All Japan Natural Cheese Contest. Camembert Cheese and Cream Cheese won the price. Kiso's most famous food is Sunki. This factory has Yogurt made from Sunki's lactobacillus. It is very unique because it is made from plant lactobacillus.